Your Mac comes with a handful of lovely HD wallpapers built-in. But when it’s time to switch it up, finding high-quality 4K wallpapers for all your displays doesn’t need to be difficult. 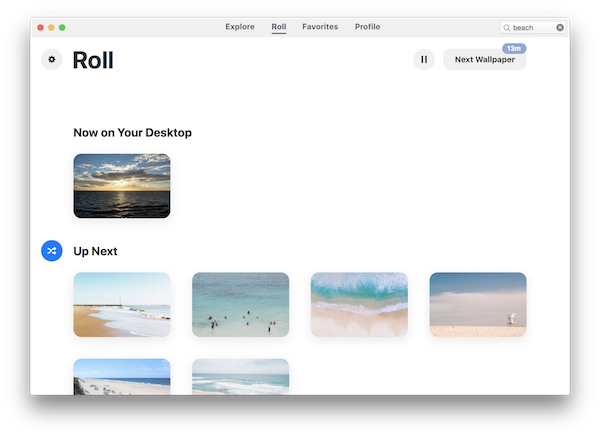 Wallpaper Wizard is like an interior decorator for your Mac, by expertly curating a huge collection of wallpapers and backgrounds, with more selections arriving every month. Even better, it can switch wallpapers automatically, on whatever schedule you like, so your displays always have a fresh look. Wallpaper Wizard is new to Setapp, and it’s great for everyone—we all have a desktop, and no matter what you like on it, you’ll find something here without a lot of poking around. We recommend using it in concert with Declutter, another Setapp utility that organizes the files you stash on your Desktop. That way it’s always nice and clear so your beautiful desktop background can be seen. 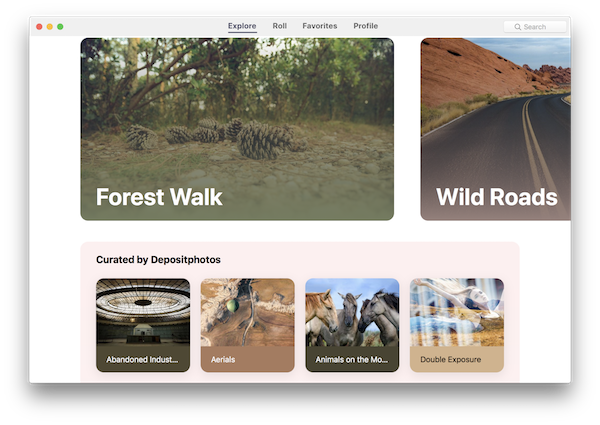 Here’s how Wallpaper Wizard makes choosing from 25,000 backgrounds as simple as picking from your Mac’s built-in wallpapers. 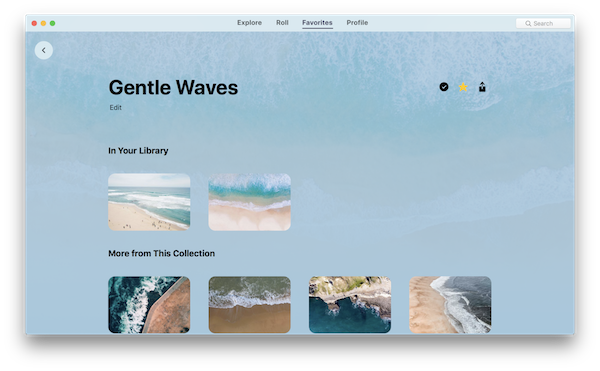 The Explore tab is laid out like the iTunes Store for Wallpapers, showing categories, curated collections, and new arrivals. 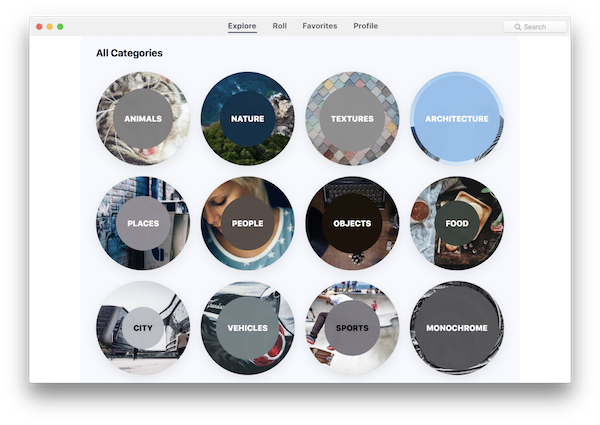 While Wallpaper Wizard has thousands of images to choose from, the Explore tab makes it easy to find your favorites. Featured collections: At the very top of the app, a side-scrolling list of featured collections draws your eye in with huge preview images. Click one to see a collection of related images, and you can save just your favorites or all of them. Featured curator: The app also features a handful of collection by one curator, an eclectic mix of anything from nature to architecture to still life to drawings. All categories: This is where you can really dig into your interests: Food, animals, flowers, textures, even monochrome if you like that black-and-white look. Seasonal and themed collections: Below the All Categories section, you’ll see just a few hand-picked collections just right for the time of year, like beach scenes and fresh fruit for summer. What’s New: New collections can be found on the bottom, if you ever get this far! More beautiful Mac backgrounds are added monthly. When you open a collection to look at it, you can star individual images to save them to your Favorites, or click the plus sign to add them to your Roll. The Roll is like a playlist, it’s a set of images that Wallpaper Wizard an rotate through, automatically or whenever you like. When you click the Roll tab, you’ll see your current desktop image, as well as the the wallpapers that are Up Next. 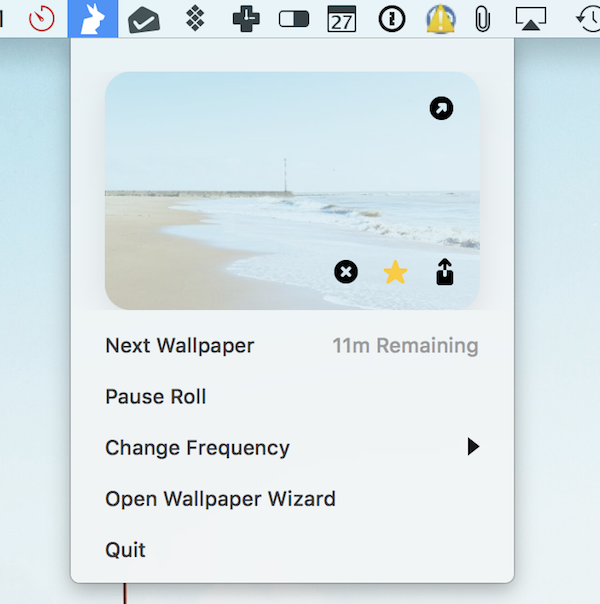 To change how often the desktop image will refresh, click the gear button — this is also where you can decide if multiple displays should have the same wallpaper or different. If you don’t want the wallpaper to change at all, click the Pause button, and of course if you want a new wallpaper right now, click Next Wallpaper. In the Up Next section, you can click the Shuffle button to mix up the order, or mouse over the individual photos to make more buttons appear. All the buttons have label that pop up after a second, but the ones you’ll use the most are Remove From Collection, and the star, which adds an image to (or removes it from) your Favorites. The Favorites tab holds all the desktop images you’ve marked with a star, organized by collection. 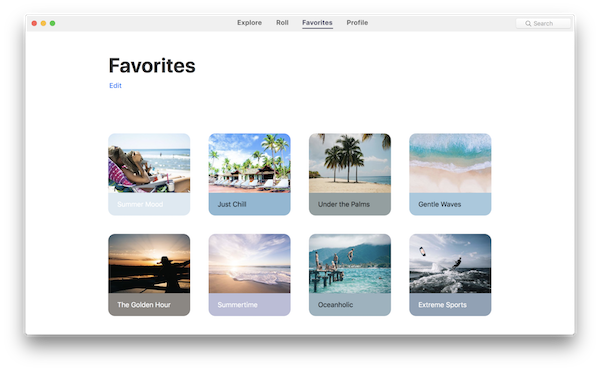 To use the Favorites feature, you do have to sign up for a free profile, which will also keep them synced across any Mac you use Wallpaper Wizards on. When you click a collection in this tab, you’ll see the wallpapers you liked up top, followed by “More from This Collection,” in case you decide you want to add them to your favorites too. Inside each collection, you can click the Plus button to add all of those images to your Roll—just the ones you marked as favorites, not the hangers-on in the “More from This Collection” section. So that’s how it works—you can save backgrounds from the Explore tab to your Favorites, and then rotate them in and out of your Roll. Or you can add backgrounds straight to your Roll from the Explore tab, and ignore the Favorites section altogether. 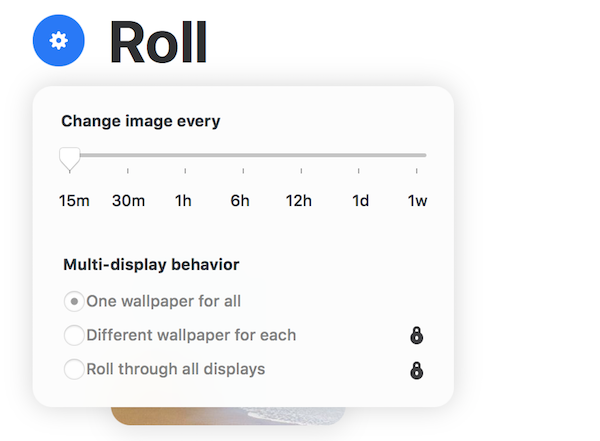 You’ll need to open Wallpaper Wizards to find new backgrounds to add to your Roll, but it’s easy to switch up your desktop wallpaper without launching the app at all. We hope you enjoy Wallpaper Wizards, especially paired with Declutter, which keeps your Desktop neatly organized so the beautiful HD and 4K wallpapers can shine through. Thanks to wallpaper app, you don’t need to settle for search engines or branded wallpapers with logos in the corners to put gorgeous artwork on your Mac’s Retina display.